The Fondation Custodia presents, for the first time in France, the outstanding collection of drawings assembled by the German art historian Hinrich Sieveking. More than one hundred sheets trace the history of draughtsmanship in Germany from the early seventeenth to the end of the nineteenth century. The exhibition was first shown at the Kunsthalle in Hamburg, during the autumn of 2016. Hinrich Sieveking is an art historian specialised in art from the age of Goethe, but above all a collector. In the early days of his quest for drawings for his collection, Sieveking was guided mainly by his passion and bought works of the Italian, French, Flemish, Dutch and German Schools (at the end of the exhibition a small selection of these works from various schools is on display). As his collection grew, Sieveking became increasingly interested in the relationship between different drawings and the context in which they were created. He therefore decided to refocus his collection so that it would reflect how draughtmanship had developed in Germany. The exhibition Reading Traces. Three centuries of drawing in Germany presents the outcome of many years of research and acquisitions and is structured around three important periods in the art of drawing in Germany: the Mannerist period, the Baroque and Rococo period, and the age of Goethe. The exhibition begins with drawings dating from around 1600, executed in the three main artistic centres of Central Europe: Prague, Augsburg and Munich. Particularly fine are the magnificent drawings by the Mannerist artists Pietro Candido (c. 1548–1628), Friedrich Sustris (c. 1540–1599), Matthäus Gundelach (c. 1566–1653) and Hans Rottenhammer (1564–1625). 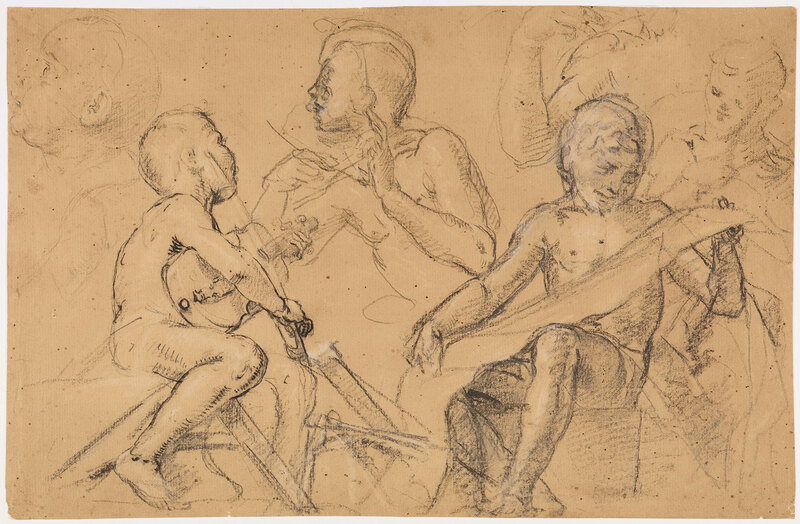 The beautiful study by Candido, Sketches of Boys Playing Musical Instruments, was acquired by Sieveking in 1979 as attributed to Bernardino Poccetti. However, Sieveking recognised it as the work of Candido, who was born in Bruges as Pieter de Witte and was in his day considered to be one of Germany’s leading painters. The next section is devoted to Baroque and Rococo drawings, many of them from Southern Germany; included are works by Joseph Anton Feuchtmayer (1696-1770), Johann Georg Bergmüller (1688–1762) and Johann Wolfgang Baumgartner (1702–1761). The latter’s very large sheet depicting The Element of Fire (c. 1750) is particularly striking. 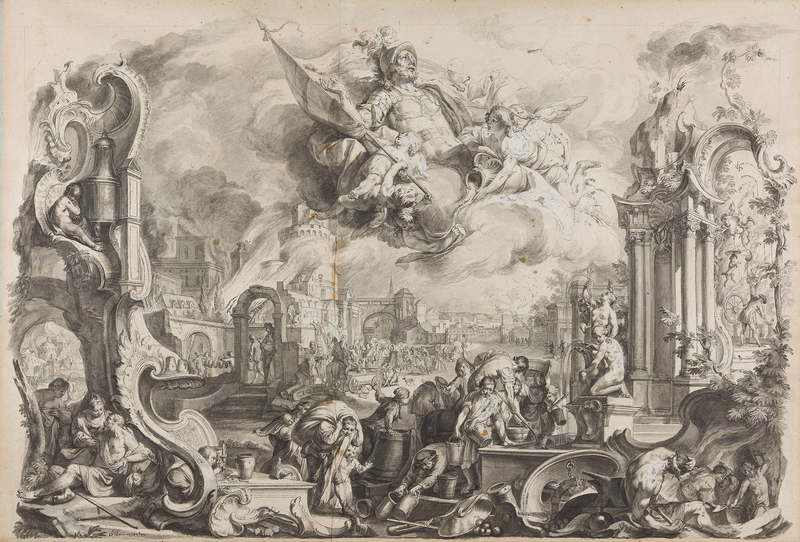 The drawing represents St Florian, invoked to control the fire, hovering above a town in flames within a composition ornamented with exuberant architectural details in the so-called rocaille style. Most of the works on show date from the age of Goethe (around 1770–1830), the golden age of German Romanticism. They attest to the increasing importance of the art of drawing in Germany in this period. A fine selection of works on paper, including a large number of watercolours, illustrates the artistic and thematic wealth of this period through landscapes, historical scenes and portraits. Johann Heinrich Wilhelm Tischbein (1751–1829) and Julius Schnorr von Carolsfeld (1794–1872), two of the collector’s favourite artists, are particularly well represented in the exhibition. When he arrived in Rome in 1818, Schnorr joined the Nazarene movement and was one of its most illustrious members. The ambition of the Nazarenes was to renew religious painting; they took their inspiration from fifteenth- and sixteenth-century German and Italian art. 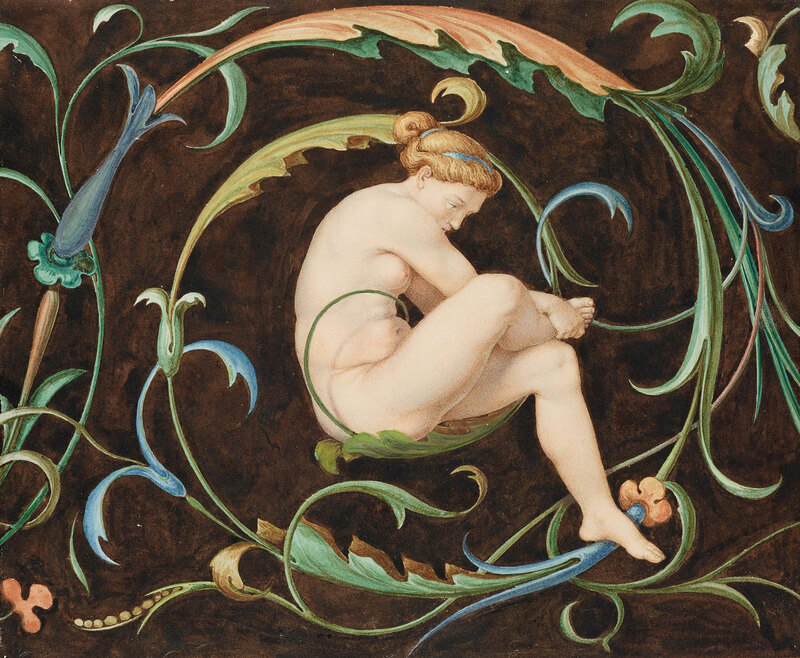 The renewal of the art of landscape at this period is reflected for example in works by Albert Venus (1842-1871). 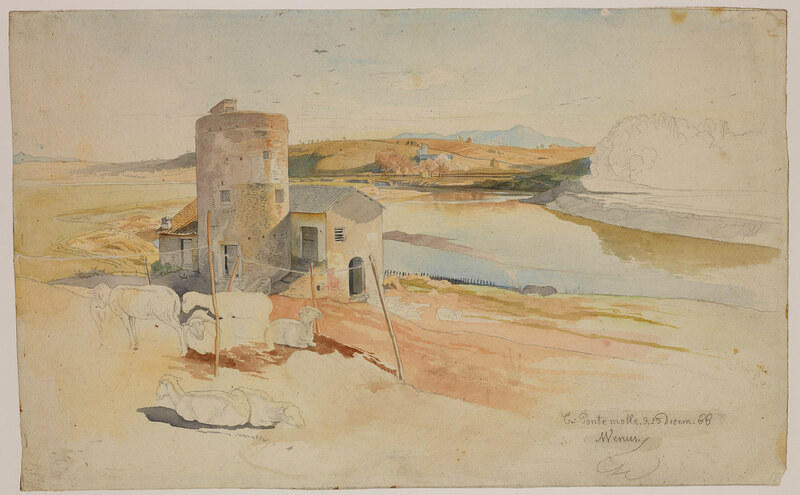 His watercolour View of the Tiber near the Ponte Molle in the Roman Campagna captures the crystalline light of a sunny winter’s day on the banks of the Tiber near Rome. 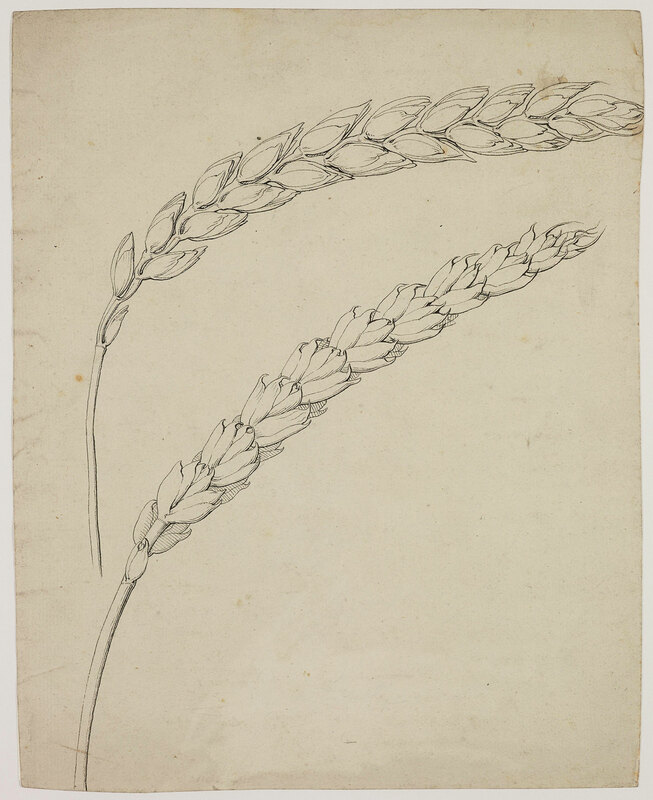 Finally, the collector’s interest in artists from Hamburg is explored in works by Philipp Otto Runge (1777–1810), including the wonderfully delicate drawing of Two Ears of Corn. 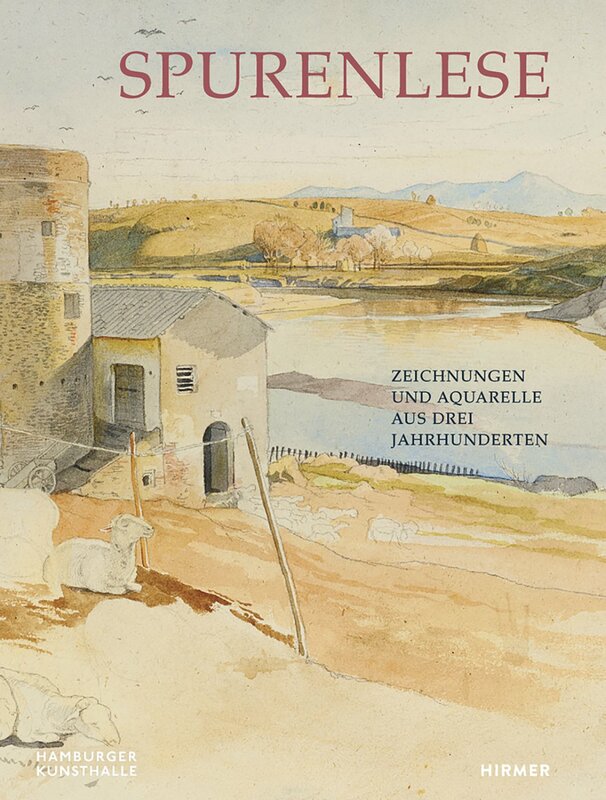 The exhibition is accompanied by a catalogue in German, edited by Peter Prange and Andreas Stolzenburg, with contributions from 36 specialists and an interview with the collector Hinrich Sieveking conducted by Gina Thomas, London.